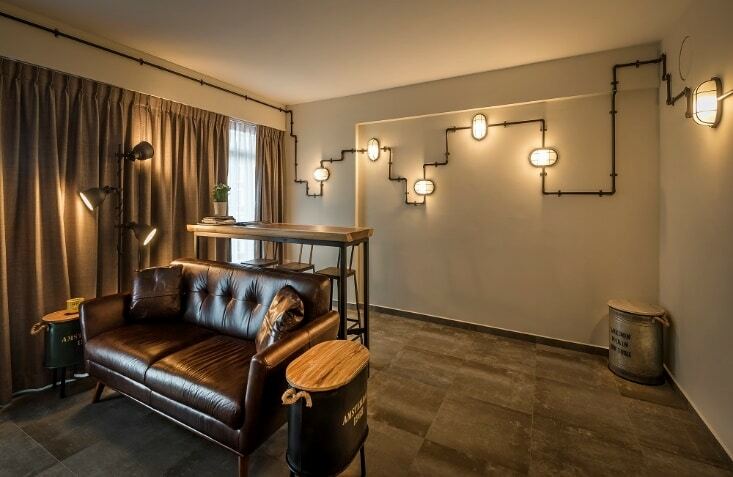 One of the first and foremost lighting essential in industrial style interior designs is the use of exposed piping. These can be used in both functional as well as decorative capacity. Their presence solidifies the outlook of the whole space as purely and gracefully industrial! 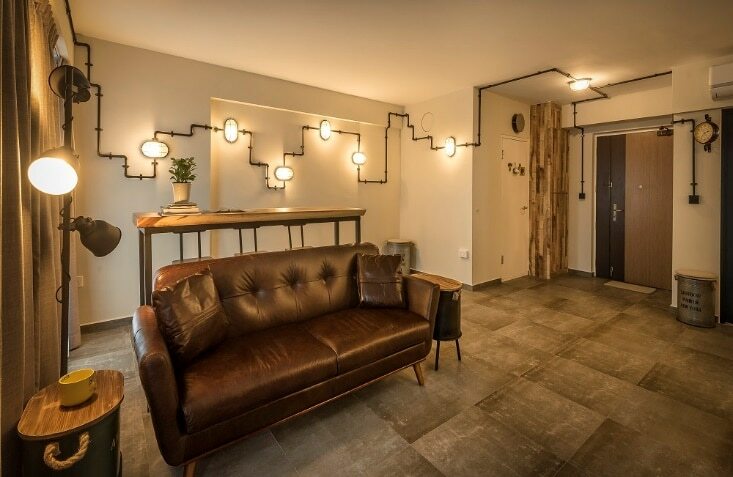 The industrial style draws inspiration from the warehouse aesthetic, so the design of the light fixtures you choose needs to follow this concept as well. There are a lot of industrial style fixtures available in the market in all sorts of genres – be it wall lights, pendent lights, ceiling lights or more. You can pick the one that suits your spaces the best. Since the industrial style is composed of many dull textures and accents, artificial lighting cannot sustain its look for a long time. 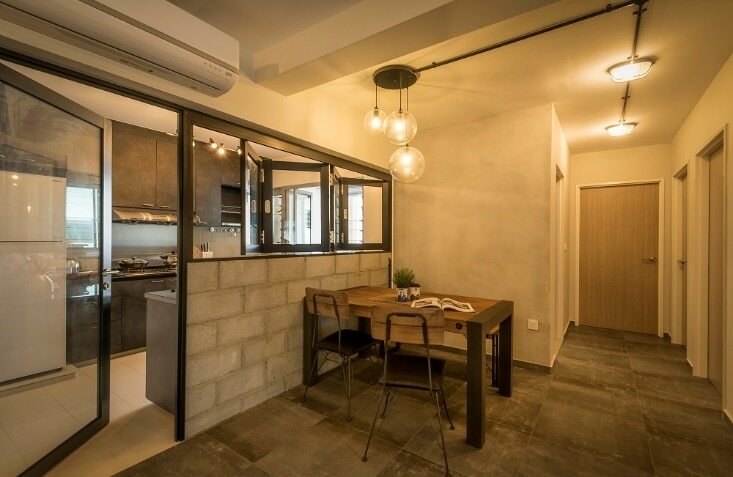 This is you need to effuse such spaces with a healthy dose of natural light. 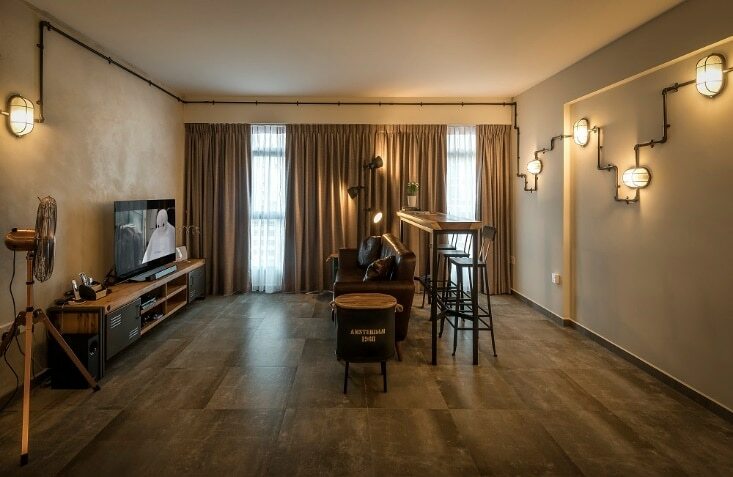 Only when there is a true balance between these two different lighting styles and intensities can you get a truly relaxing and stylish ambiance. What’s the most unique part about every machine that is installed in the factory? What makes all the warehouse paraphernalia so distinct is that it’s always connected with each other. Since it can be difficult to create such a connectivity with the various, interspersed interior design essentials like furniture and décor, you can do so by creating a visual connection between all the light fixtures. It can be done through exposed pipes, track lighting, or other interventions. 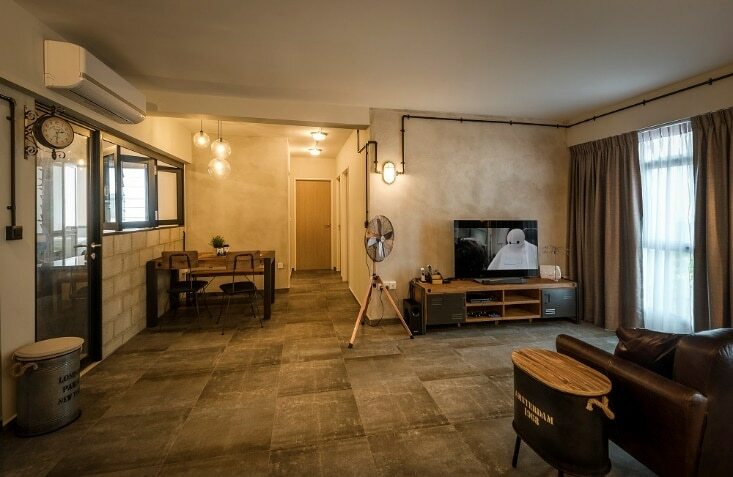 The industrial style ambiance is comprised of textures like concrete and exposed brick. So, if you light those up with cool lighting, they lose their charm. Therefore, it’s best to embellish them with warm-hued lighting. The gold incandescence of these fixtures can effuse the edgy aspects with a sense of comfort that make living in such spaces easier.